Pet Overpopulation-What Can YOU Do? Pet overpopulation is a serious issue in America; however, it is often overlooked by many pet parents. While pet adoption is becoming increasingly popular, there are still thousands of cats and dogs that don’t get adopted each year and continue to sit in a shelter or are unfortunately put down. 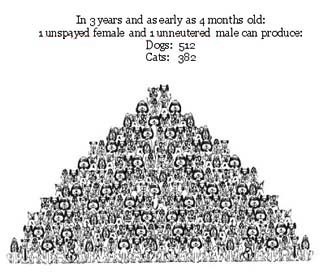 However, there is a solution to pet overpopulation: getting our pets spayed or neutered. This is the only way to keep shelter numbers down each year. According to the American Humane Association, “Each year, approximately 8 million stray and unwanted animals are taken in by shelters across the country. Tragically, about 3.7 million — nearly half — of these animals must be euthanized because good homes cannot be found for them. In fact, shelter euthanasia is the leading cause of death for both dogs and cats in the United States.” These are startling statistics! Especially when there is such an easy solution: get your pets spayed and neutered! “It is a common myth that pet overpopulation means there are “not enough” homes for all the shelter animals. In reality, there are more than enough homes, but not enough people are choosing to adopt from a shelter. Seventeen million Americans acquire a new pet each year — that is more than double the number of shelter animals! Sadly, only 3.5 million people, or about 20 percent, choose to adopt their new pet. The rest choose to buy their pets from pet stores or breeders, or they choose a variety of other cheap or free sources, such as friends, neighbors or Internet ads,” states the American Humane Association. 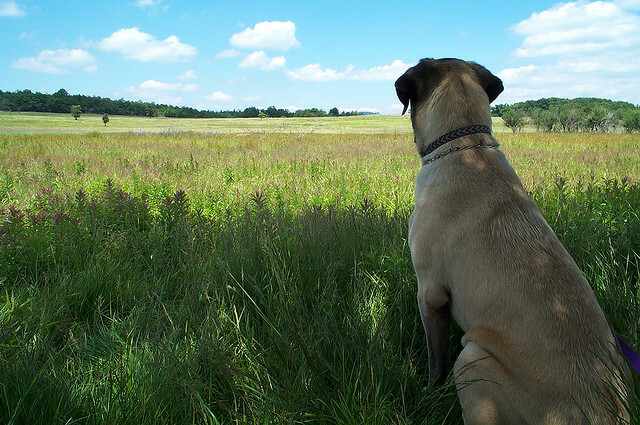 Stay on top of your pet’s health! Make sure to not only get them spayed or neutered but to take them to the vet annually for checkups, help them get plenty of exercise, feed them a healthy diet and spoil them with plenty of JW Pet toys! Our new Stretchin’ & Fetchin’ dog toys are perfect for fetch and tug-giving your dog lots of activity to stay healthy. Staying fit can be hard work so make sure to keep a big JW bowl of water around for when your pet needs to quench their thirst! While it is important to help the pet overpopulation cause, the steps you can take to help start at home with your own pets. “One of the most serious problems impacting animals is overpopulation. There are so many dogs being born every day, throughout the United States, that there are just not enough homes for all of them. This results in the destruction and mistreatment of thousands of animals,” The DJ&T Foundation reminds us. Bob Barker, who started the DJ&T Foundation in 1995, helps to fund low cost spay and neuter clinics to decrease pet overpopulation. To find out more about this organization, visit http://www.djtfoundation.org/1.htm . It can help you find a facility near you where you can get your pet spayed or neutered for a discounted price. There are many options available all over the country! Remember, there are currently about 163 million pet cats and dogs in the U.S., and about one out of every 20 ends up in a shelter each year. Want to find out more about pet overpopulation, the causes and what you can do to help? Head on over to http://www.americanhumane.org/animals/adoption-pet-care/issues-information/pet-overpopulation.html for more. Also, comment below and let us know how you are helping to put an end to pet overpopulation. Toys, Toys, Toys for the Holidays! Recipes: Thanksgiving Leftovers—for the dog? !